Pickles are popular additions to meals. You can pop them on your burger or include them with a salad. Some people just love to snack on them on their own throughout the day. But just how do you benefit from the vegetable and are they any good for you? After all, that’s a lot of vinegar you’re getting into your system, right? It’s a lot of acids that just can’t be good for your teeth and insides. 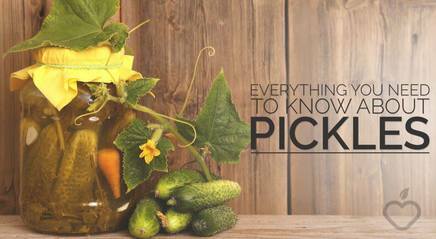 Well, here’s all you need to know about pickles: including where they came from and why it’s okay to enjoy them now and then.